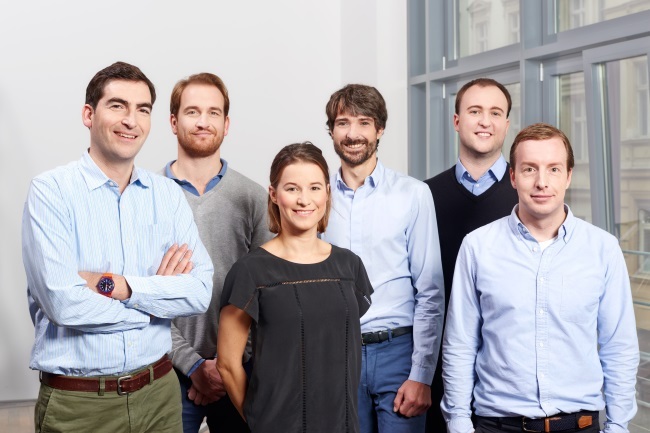 Berlin based venture capital firm Paua Ventures has raised its debut institutional early stage fund (Paua I) with a first close of $45 million. The final close is expected to be $65 million. The firm had previously been bootstrapped with $2 million coming solely from the management team, starting in 2010. With the new institutional fund, Paua will continue to double down on European Seed and Series A opportunities in areas such as Software-as-a-Service (SaaS), B2B-marketplaces, B2C mobile, mobile enterprise solutions as well as ecommerce 2.0. The new fund comes on top of a successful year for Paua, having completed two further exits and investments in category leaders such as Pipedrive and Lesara, where Paua has invested alongside Bessemer Venture Partners and Northzone Capital. External investors have to date followed on with investments of $55 million into the new Paua portfolio. From its previous portfolio Paua has now exited four out of eleven companies still holding shares in remaining five active ventures. Paua I already has a portfolio of seven active companies and has deployed around $9 million in capital to date. Paua is aiming to invest into another 20 startups within the next three years. The fund typically writes its first check at Seed or Series A stage, investing amounts between $200.000 to $2 million – with the ability to follow up to a maximum of $6 million. The new fund has a diverse limited partners base: institutional investors such as the European Investment Fund, high net worth individuals including several renowned entrepreneurs and major global industrial groups such as Klöckner & Co SE. In its previous portfolio, Paua successfully invested in fast growing and profitable internet companies such as Amorelie (www.amorelie.de) or Flaconi (www.flaconi.de), both acquired by media company Pro7Sat1 and Producteev, (www.producteev.com), exited to Jive Software. The current venture portfolio includes the premium online discounter Lesara (www.lesara.com), as well as the US-Estonian Sales CRM software vendor Pipedrive (www.pipedrive.com) and the Munich-based CRM software company Shore (www.shore.com). The firm plans also to tap into the Romanian market for fresh startups seeking funding. They will visit Romania soon.